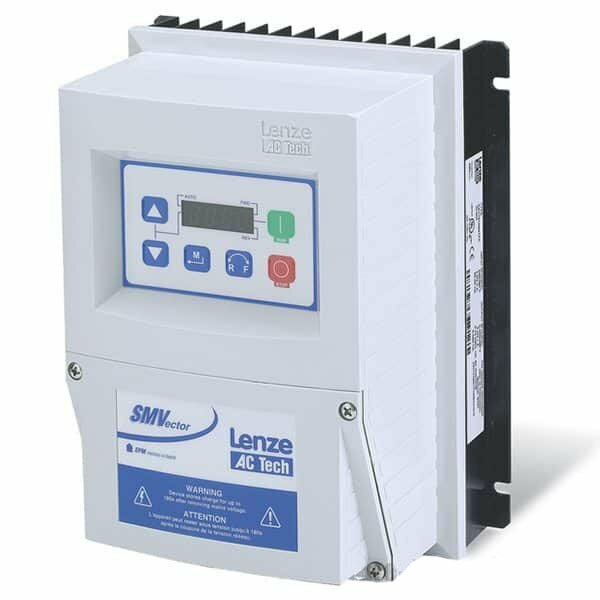 This video will walk you through tuning the Lenze AC Tech SMVector Variable Frequency Drive (VFD) to your AC Motor. 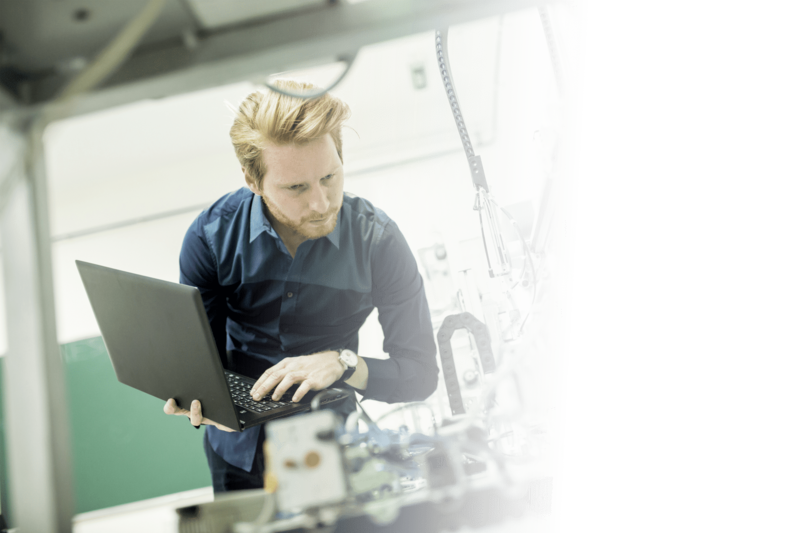 The tuning process is extremely simple and will make sure you are getting the best possible performance out of your AC Motor. Tuning is absolutely necessary when attempting to run any application that requires high torque at lower speeds. Hello everyone, this is Craig Chamberlin with Precision Electric, at Precision-Elec.com, your industrial service center. 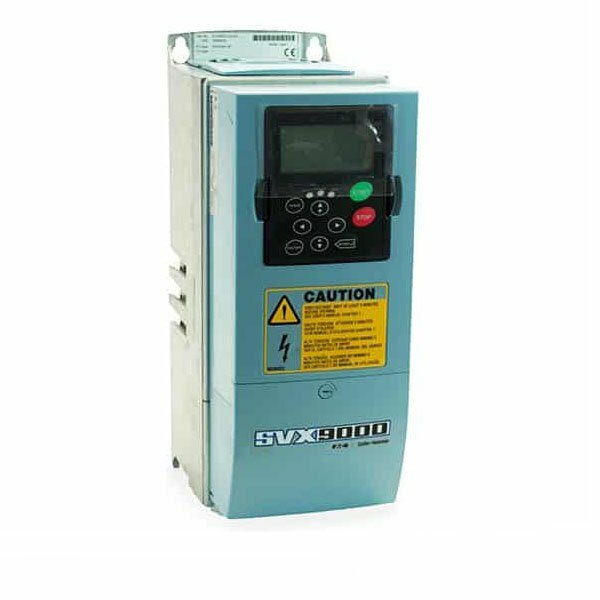 We do drives, we do automation, we do controls, we do motors, we do a lot! So if you have any questions or need anything related to your industrial needs, give us a call. 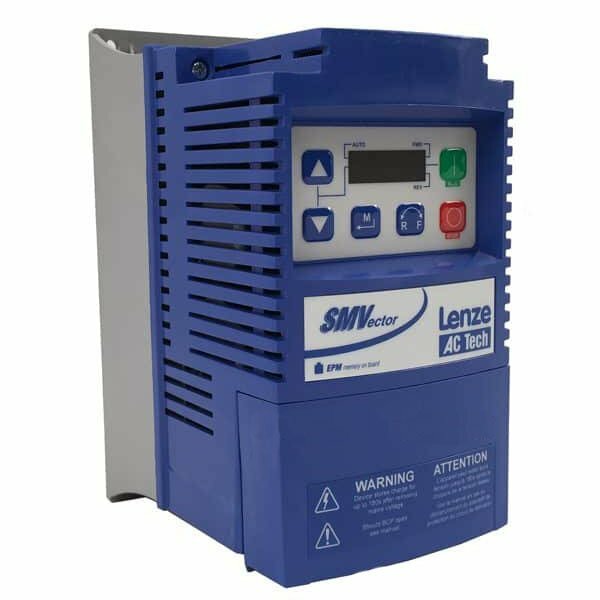 In today’s video, we’re going to be doing another video on the SMVector Variable Frequency Drive. Now we have full series of training videos now available on our YouTube channel if you haven’t checked them out yet. But this particular video is going to be covering tuning. Tuning is something that comes standard in a lot of drives now. There are a lot of misconceptions as to why you may or may not tune your motor. In general, it’s always a good practice to tune your drive to your motor, but it’s not necessary. What tuning does is essentially the drive goes out and determines the characteristics of your motor, depending on the motordata you put in. it actually tunes itself so it can betterperform. It uses whats called “current feedback,” in other words,currentbacked from the motor, in order to better regulate the speed and control of the motor. 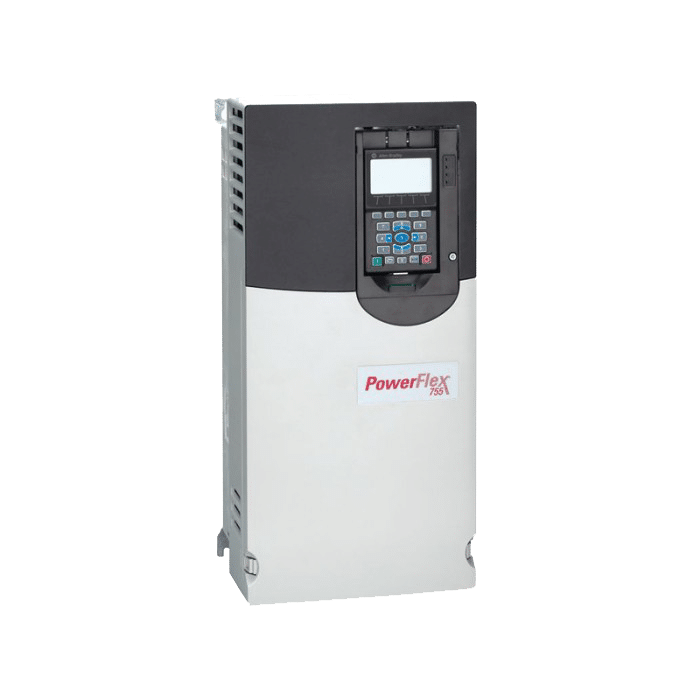 Nowthis is really popular for people who need to run high torque, low-speed applications. In other words, you need to be able to move a lot of weight or work (depending on whether its water, so you need to move a lot of water if its a pump, for example) but at a lower speed than say 10% of the rated motor. So if you want to run 10% of your rated motor speed, which might be a 1750 RPM motor, so you might want to run like a 170 RPM, andstillhave good speed control. In other words, you want it to be consistent in how fast it runs, then you want to look into tuning. Anywherethats10% or lower is where we say is a goodthreshold. Soletsstartinthe manual.Itsunder Parameter section 300. We’re going to change quite a fewparametershere. And most of them you’ll get right off the nameplate of your motor. I’ve already got that data, soletsgo aheadandgo in there and program it on mine, run thetuningprocess, andyou’ll see it run with tuning. SoImstarting in themanualin the section 4.5.5, Parameter 300 (drive mode).Defaultis set up for Volts per Hertz. Let me go up to Parameter 300 on my drive. Here we go. AsIsaid before, Volts per Hertz pretty much runs out of the box asdefault. For most applications, that’s good enough. I’m going to set this to Vector Speed Control. Now Vector Speed Control basically tells the drive I want to tune my drive to mymotor,and do the same as Volts per Hertz. SoImgoingto be running my speed changes through either my keypad or my speed pot, but it says I want to maintain a constant speed. So that’s why its called Vector Speed Control. The other option, which is Vector Torque Control, is if you want to maintain a constant current.That isreal popular on wire drawers, so if you want to maintain a constant tension inthewire as you pull it through dyes orwhateveryourapplicationmay be, then you’ll actually put it in Vector Torque Control.Butwe want to maintain a constant speed in our setup. Soif youfollow inthemanuals, asIsaid before, thisNotesection actually goes through all thestepswe’re going to go through, butImgoingto go through each one of theseParametersone at a time. SoI’mgoing to go up to 302, skip to over 301, and this iswhereIput in the voltage of my motor, and that is on the nameplate of your motor. And mine is 230 volts, soImgoing to leave it the same. I’mgoingto press Enter. I’m going to bring my menu back up, go to Parameter 303. This is the rated current of your drive. Mydriveis actuallyratedfor 1.7 amps, soImgoing to bring that down. Bydefaultits actually setto thecurrentlimit ofthedrive, which is the maximum current the drive will take. SoIwant to set that to 1.7 amps,which isthe ratedcurrenton the nameplate of mymotor. Let me go to parameter 304.Thisis therated frequency. If you’rein the US, nine times out of ten,actually99 times out of 100, itsgoingto be 60 Hertz.If youreusing a European drive orEuropeanmotor for any particular reason, it’ll probably be 50 Hertz. 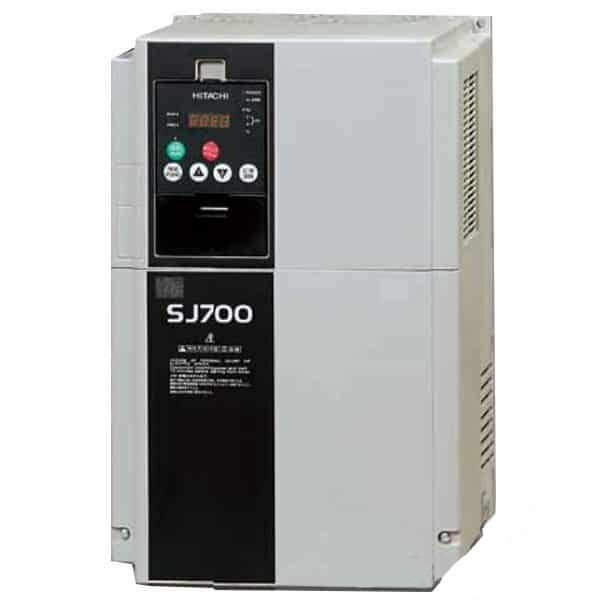 You could also have a Spindle drive that has adifferentrated frequency,letssay up to 500 Hertz for example. This drive does support up to 500 Hertz. Letsgo to Parameter 305. This is the rated speed in RPM in our motor, also on your nameplate. Pretty much everything we’ve covered so far is on the nameplate. Mine is 1750 RPM, yours could be anywhere from 400 all the way up to 4,000. Using a Spindle it could even go up to 10 or 20 thousand depending on what you’re using.Letsgo up to Parameter 306, this one’s a little trickier. This is actually your motor efficiency rating. Formostpeople0.8 is more than adequate. You will have this on some of your motornameplates, not on all of them. If youdonthave them, essentially they call them the efficiency rating. Mine happens to be 0.9, so I’m going to put 0.9 in there.That is onthenameplate.If youdonthave oneyoucan either use theformulathatsin the manual to calculate it, which istheNodesectionfor Parameter306. Or, youcan just put in 0.8 because that works for mostapplications,thatswhy its the default. That isactuallyall you need for motorparametersin order totune it.Theremainingdata like standardresistance,etc is not important. In fact you probablydontwanttoput it in there unless youabsolutelyknow for sure what they arebecausethey canmessup thetuning. So the final step inthisprocessis actually to go to Parameter399 to actually run the tuning.SoIwent to 399,Imgoing to press Enter, and I’mgoingto set this toStandardCalibration enabled. SoImgoing to press Enter on that anditsgoing to say Cal Stop,andthatsnormal. It says rightonthe notes section Display willindicateCal for about 40 seconds. Oncecalibration is complete the display willindicatestop.Applyanother Start command toactuallystartthem. SoImgoingto press Start, (I pressed Enter to Start it and IpressRun) and now its flashing Cal. You canactuallykindofhearit, Idontknowif youcan hear it inthevideo,youhearkindof a winding sound, and what that is, is the drivecalibratingitselftothatparticular motor’scharacteristics. Basicallyitsinjectingsomecurrent into thewindingso that it can measure the resistance and inductance. Also so that it can actually get backinformationthat it needs to properlycontrolthat motor at those ratings. So now itscompleted. It says Stop,whichis what we wanted. At thispointI can actually run themotor. Butnow its tuned. So ifI had a high torqueapplicationandIwanted to run a low speed,Icould reliably run even down to 10%, maybe even 5% of the ratedmotorspeed with someconsistency. At least [I could run it] with a lot better control. Sothatspeed would be pretty close to what we’re targeting. Again,youcant getprefectspeedcontrolwithoutsomekindof afeedbcaklike an encoder or a resolver. 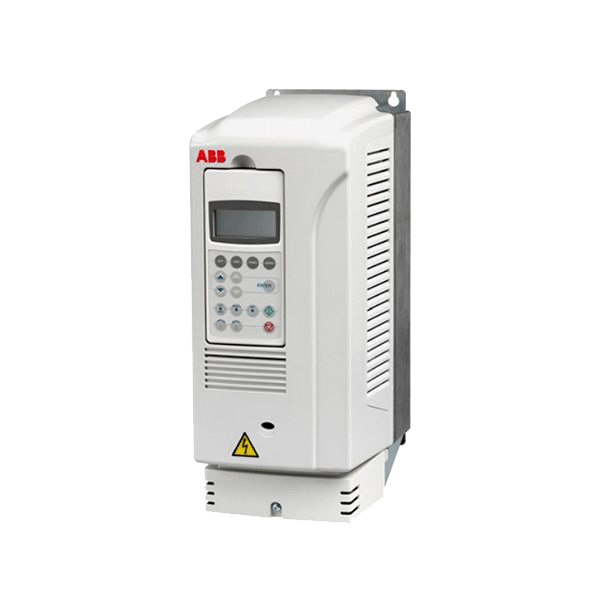 But this is probablyoneofthebest ways you can getgoodspeedcontrolata lower speedthatscost effective other than maybe moving to an ABB product which gets kind ofpricey, eventhoughyoudontneed anencoder, because they only include that feature ontheirACS 800s and up. Sothatsall there is to tuning your drive to your motor. 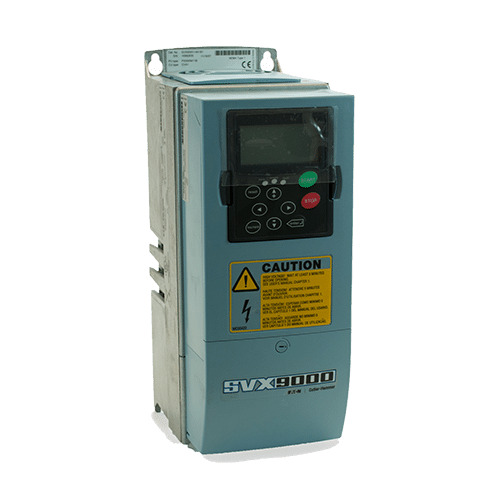 And asIsaidbefore, vector control is very popular for people who are trying to run low speed, high torque, and highcontrolapplications. Itsnotnecessarilyappropriatefor everyapplication. If you can do it,thatsgreat. If you can’t, its not a big deal. You willprobablysave a little bit of money on energy efficiency, butitsnot going to be a noticeable difference.Yourbig savings on energy is going to berelatedto being able to reduce the speed ofwhateveritisyourerunning, which will reduceyourtotalcurrentoverall. But thats prettymuchall there is to this video.If youhave any otherquestions,againour website is Precison-Elec.com. Thats PrecisionElectric. We are yourindustrialservicecenter. We do drives, we do motors, we do automation panels, and you name it. If you have any questions please feel free to call us and we will help you in any way we can. Otherwise, Like, Share, and Subscribe to this video, and we’ll see you in the next one!